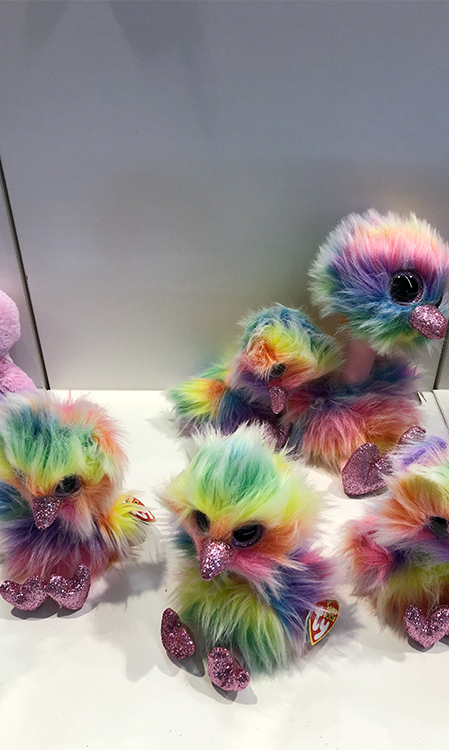 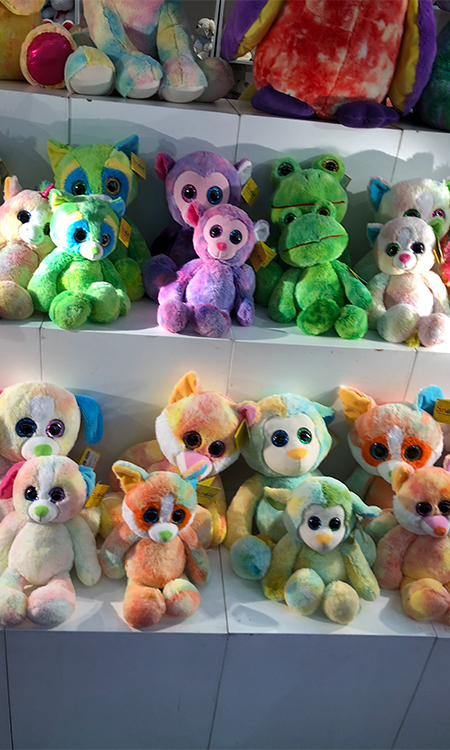 Tie dye style plush toys were in abundance and an explosion of colour updates the tactile plush world. 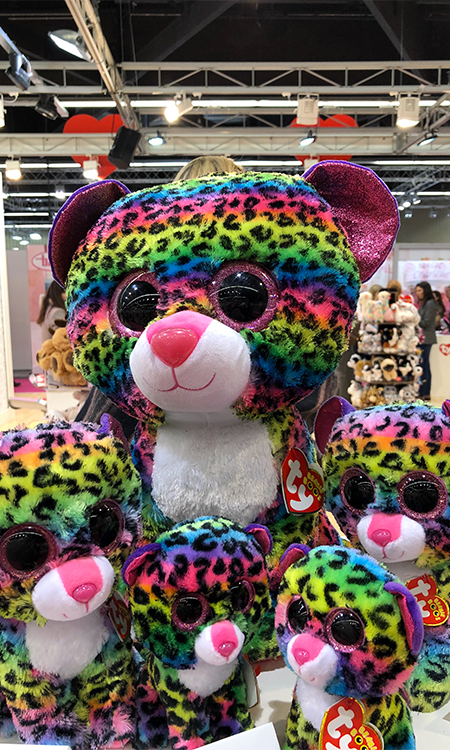 With rainbow hued soft furs applied to a myriad of animals this trend brings the fun and excitement back to what can sometimes be quite a traditional style. 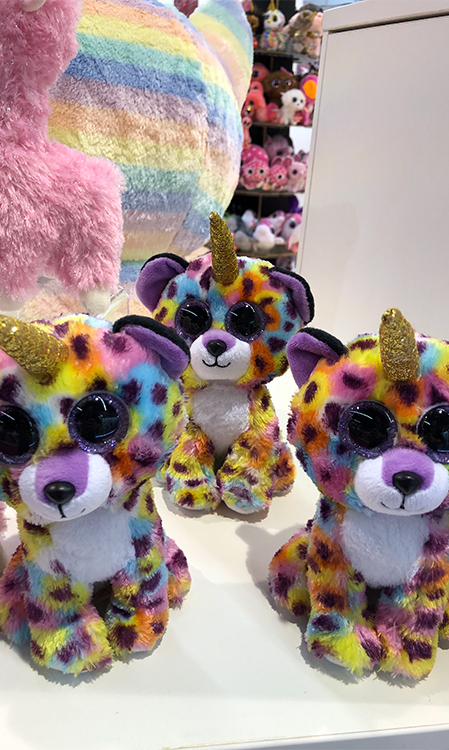 Filtering down from the fashion world, tie dye resonates with the same customer type that is hooked on the magical unicorn world. 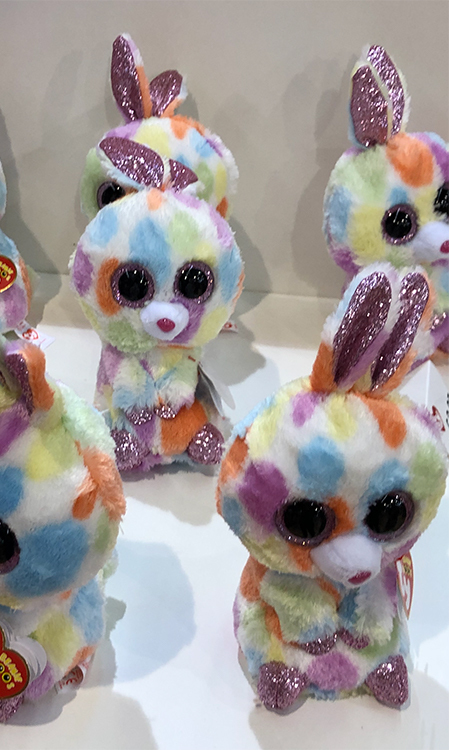 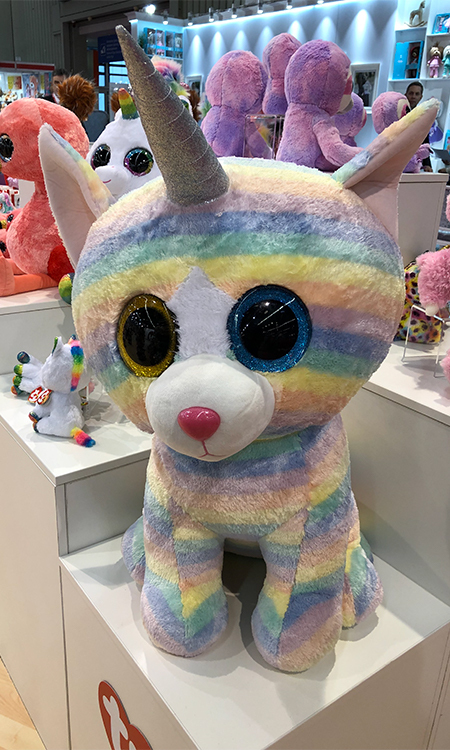 Rainbow colour plush is a thing of joy transcending the gamut from fantastical creatures like unicorns, dinosaurs, or other made-up animals to cats, dogs, horses, and other pet toys. 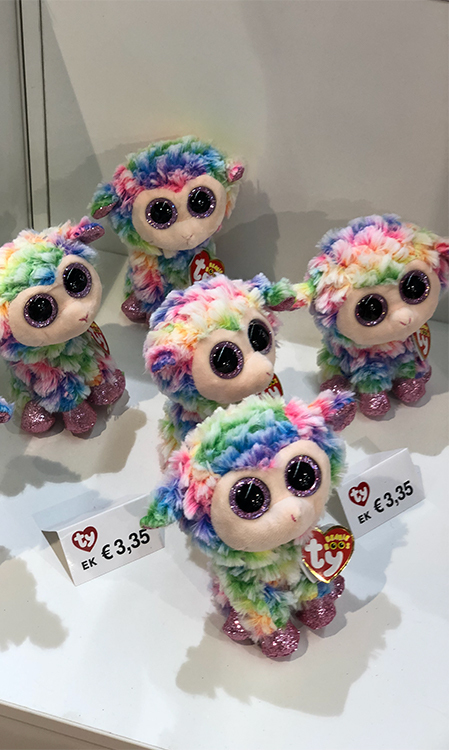 Adults probably also share the joy in this trend and are happy to buy them for their children as they bring a sense of joy and humour to a challenging world we currently live in. 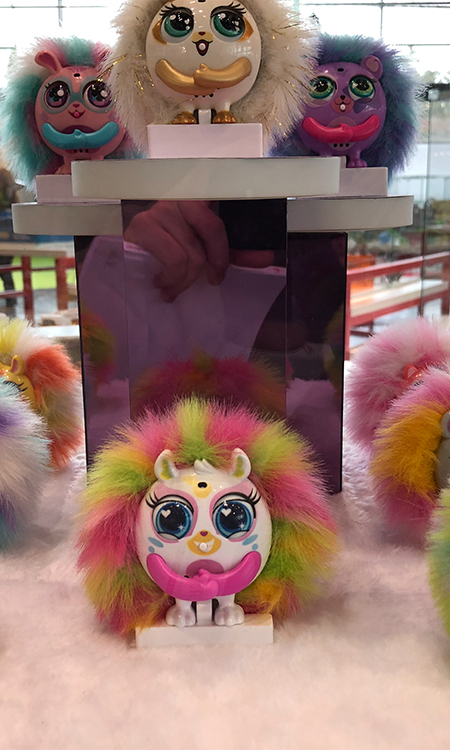 A trend that will ebb and flow over time, though will always be around in some incarnation.